Cozy couch, warm blankets and fuzzy socks. It's that time of the year when we all love to come together as a family to watch holidays movies, both old and new. 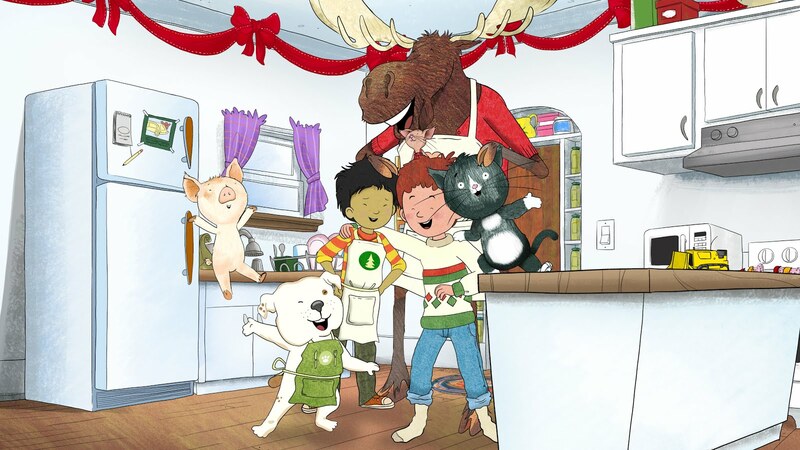 Bring out the hot cocoa and serve up some yummy snacks because Amazon Studios will launch its premier of original holiday specials for kids and their families to enjoy. Timeless classic, The Snowy Day and beloved favorite, If You Give a Mouse a Christmas Cookie, both based on treasured children’s books will feature celebrity voices and original songs from acclaimed talent, including Boyz II Men and Lisa Loeb. The Snowy Day - The special follows Peter, a young boy in a red snowsuit, as his mother sends him on an adventure to Nana’s house to retrieve their traditional Christmas mac and cheese dinner. Enjoying the snowy day along the way, Peter encounters friends from the neighborhood, from storekeepers and bakers to the older boys he admires – and a group of acapella singers voiced by Boyz II Men. After arriving at Nana’s and retrieving the mac and cheese – and his most coveted gift, a brand-new red sled – Nana helps Peter team up with the older boys for an epic snowball fight, resulting in the destruction of the special holiday dinner and his sled. When the neighborhood comes together to celebrate new traditions with Peter and his family, Peter realizes that the true meaning of the holiday is about who you spend it with. 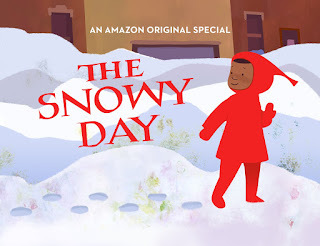 The Snowy Day is narrated by Laurence Fishburne (Black-ish, Batman v Superman: Dawn of Justice, The Matrix) and featuring voice talent of Regina King (American Crime, The Leftovers), Jamie-Lynn Sigler (The Sopranos), and Angela Bassett (American Horror Story, BoJack Horseman). The Snowy Day features “Snowy Day,” an original song by Boyz II Men, available exclusively on Amazon Music to download and stream starting November 25. The new production is executive produced by Laurence Fishburne and Helen Sugland (Akeelah and the Bee), as well as Ann Austen, Irene Sherman, and Deborah Pope (Ezra Jack Keats Foundation). If You Give a Mouse a Christmas Cookie is a charming animated holiday special based on the popular classic If You Give a Mouse a Cookie, the original children's book which inspired a brilliant series of books written by Laura Numeroff and illustrated by Felicia Bond. If You Give a Mouse a Christmas Cookie - In the special, it’s holiday time and in Mouse’s house that means Christmas cookies (including a special one for Santa, of course! ), caroling with friends…and one nearly-destroyed holiday pageant. Can Mouse and his animal friends save the show without getting utterly distracted along the way? It’s a wild ride as Mouse and his friends reinforce for young viewers the friendship and caring that’s at the heart of the holiday season. Like the books, If You Give a Mouse a Christmas Cookie special is centered on an “if… then” narrative structure that teaches cause and effect and encourages creativity among children. If You Give a Mouse a Christmas Cookie is written and produced by Ken Scarborough (Doug, Curious George, Martha Speaks, Arthur,Saturday Night Live) and stars Mason Mahay (If You Give a Mouse a Cookie), Roger Craig Smith (Avengers Assemble, Wreck-It Ralph), Jessica DiCiccio (Over the Hedge), Jeff Bennett (Futurama), and Lara Jill Miller (The Loud House, Henry Hugglemonster, Doc McStuffins). If You Give a Mouse a Christmas Cookie also features an original song, “Christmas Cookie Song,” by Lisa Loeb, available exclusively on Amazon Music to download and stream beginning November 25.